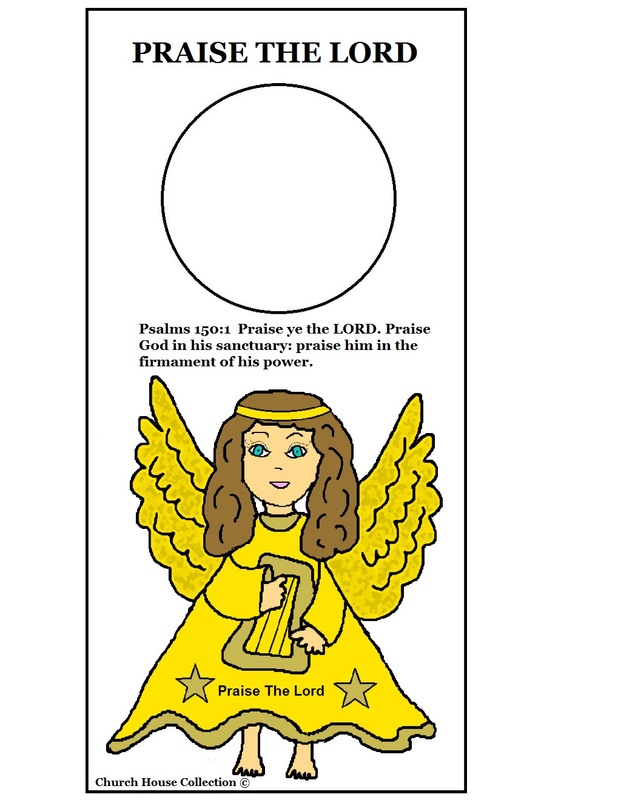 Just print this Angel doorknob hanger out and have the kids cut it out. 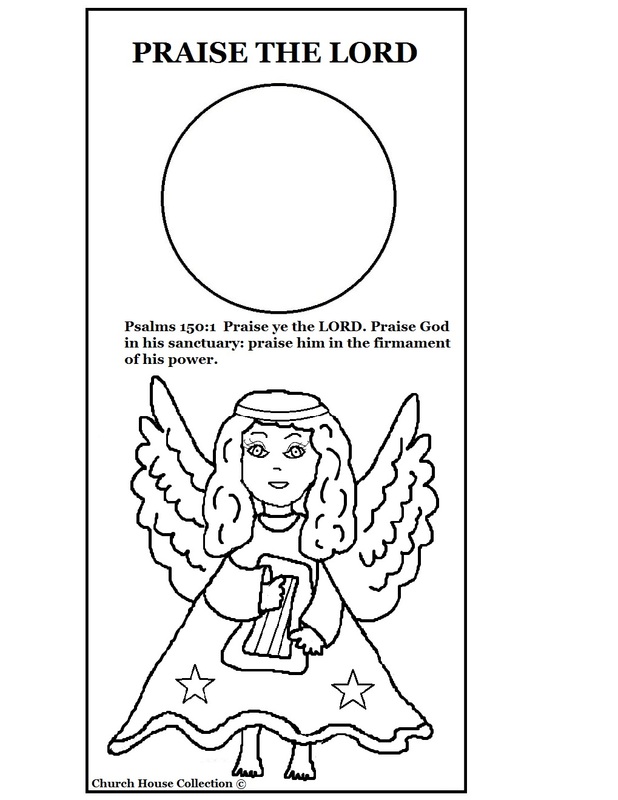 We have a black and white one so they can color it before they cut it out. You can have them add glitter to the wings too if you want. Print this on card stock or you could print on regular paper and laminate. Let the kids hang this on their doorknob at home. This has the scripture from Psalms 150:1:Praise ye the Lord. Praise God in his sanctuary:praise him in the firmament of his power. The top of the doorknob hanger say's Praise The Lord. 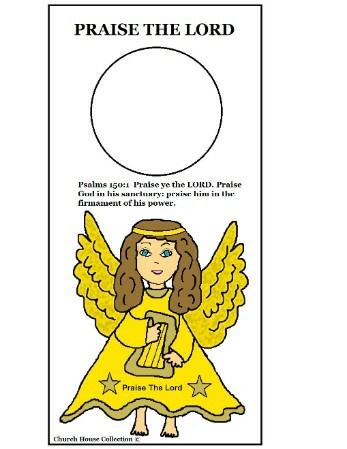 Use this with our Angel "Praise The Lord" Lesson. Comes with a matching coloring page for kids to color.